The darc awards are the Oscars of the design industry. 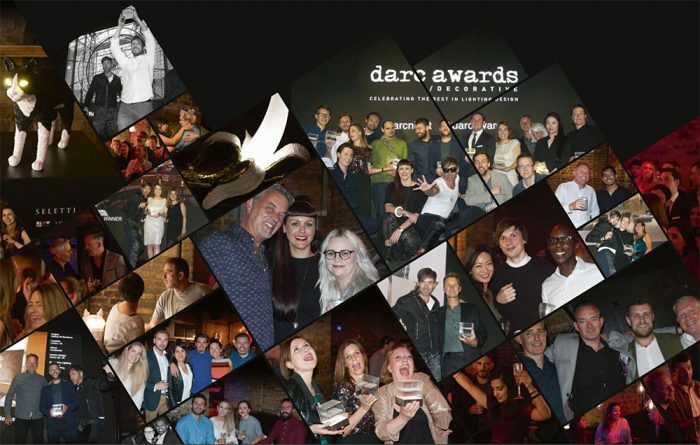 The darc awards / decorative is a unique concept utilising darc and mondo*arc magazines’ reputation as being the most widely read and respected lighting design publications in the world. With our database of 12,000 international lighting design practices, interior designers, architects and suppliers we have created a unique opportunity to get every practice and studio involved in the awards process. Independent lighting designers, interior designers, architects and product designers are invited to vote on their favourite projects and products via our specially developed darc awards / decorative website. One designer, one vote makes this the only truly peer-to-peer lighting design awards in the world. All the projects and the companies who have submitted them will be present on the website so that, over time, www.darcawards.com becomes a comprehensive online lighting design resource that can be used by designers and clients alike for inspiration.